A brainchild developed by the Department of Environment and Natural Resources (DENR), the project promotes the reduction of plastic consumption by refilling old and used plastic containers from bulk packaging brought in by manufacturers of various household necessities who sell them at a generous markdown of 50 percent. During the one-day refilling event, participants are asked to bring in their own containers to replenish supplies of condiments, household essentials and toiletries. NutriAsia staples: soy sauce and vinegar – as well as detergent powders, dishwashing liquids, fabric conditioners from other participating partners – are available and have received the best response. There have been six Refill Revolution events to date: at Guiguinto, Bulacan in March 2018, the City of San Fernando, Pampanga in June 2018, Bocaue, Bulacan in June 2018, Balanga, Bataan in December 2018, the City of San Fernando, Pampanga in December 2018, and the City of San Fernando, Pampanga in February 2019. At least 2,000 people have already benefitted from the campaign. Success of the project has already prompted a further expansion of Refill Revolution to other regions of the country. And the DENR is encouraging other companies to do their part and participate by supplying products in bulk, so that the public may buy refills at lower prices. 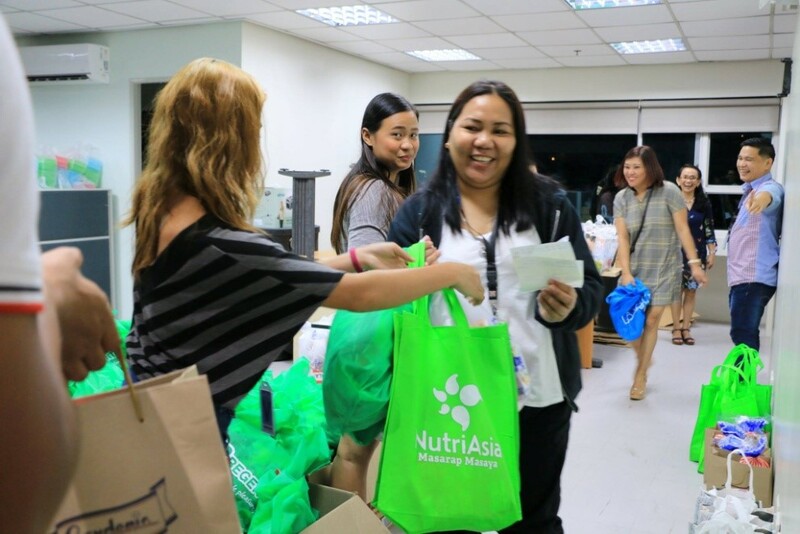 A socially-conscious corporation, NutriAsia has assured its continuing support. Datu Puti by NutriAsia has been the Philippines’ leading and most loved condiment brand for the past four decades. It was first introduced as a vinegar product in 1975, and eventually offered soy sauce, fish sauce, oyster sauce and now, the Datu Puti Adobo Series sauces. 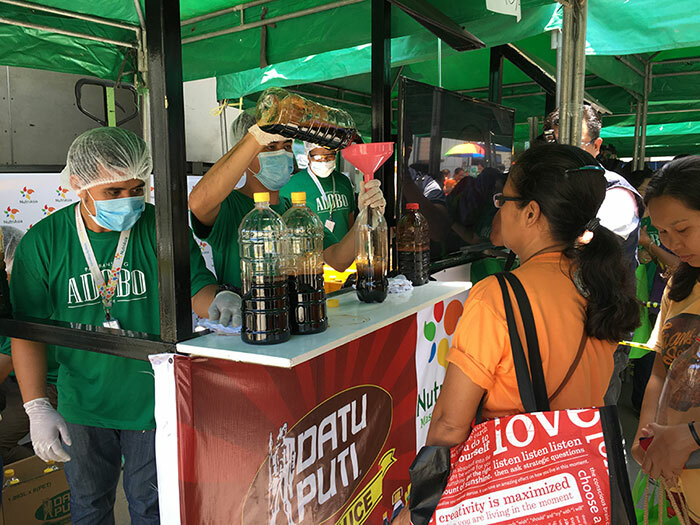 Recycled plastic bottles are filled up with Datu Puti vinegar at the NutriAsia station during the Refill Revolution event in San Fernando, Pampanga. Mayor Edwin “EDSA” Santiago (center, in white) poses with NutriAsia representatives during the awarding of certificates of appreciation for the condiment maker’s participation in DENR’s Refill Revolution leg in San Fernando, Pampanga.